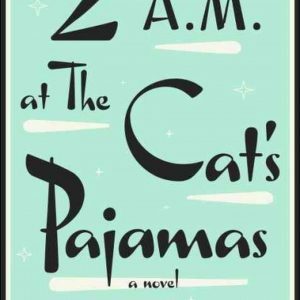 Chasing her cat through a graveyard, Kennedy Waters runs across a ghost. Days after her ghostly encounter, Kennedy’s mother dies and Kennedy gets attacked by a poltergeist, but she’s saved by some handsome identical twin ghost hunters who tell her that she’s special. She comes from a long line of ghost hunters, just like they do, and they’re all being hunted by a demon. Soon Kennedy joins them and other teenage ghost hunters as they try to track down an artifact to help them stop the demon. 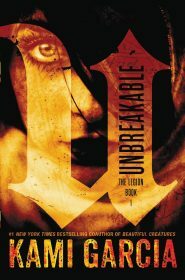 That’s a short synopsis of Unbreakable by Kami Garcia, and unfortunately that synopsis is about as exciting as this book. While there is a lot of action to move the plot along, there’s something that doesn’t connect here. Maybe it’s the fact that Kennedy believes everything, without question? Or maybe it’s that so many of these pages involve romance and a melodramatic love triangle with some really cookie-cutter twins? Kennedy is so astoundingly gullible. Everything the twins tell her is almost instantly accepted, even though she’s never believed in ghosts or demons before. But, hey, what does it matter when they’re hot, right? Why not just hop in a van with them and fake her disappearance because, sure, there are ghosts and demons and she’s from a line of big, bad ghost hunters. This all just happened way too quickly for me. But the introduction of a love triangle doesn’t take too long, either. The fingers touching, the hair blowing in the wind, and the differences in their eyes even though they are identical twins was enough to drive me crazy. But don’t think that they are identical in personality, because just like love triangles in so many YA books, one is friend-zone nice while the other is dark and brooding. You know which one she picks without me saying any more because we’ve seen this again and again. And of course they both insta-love her for some unexplainable reason. 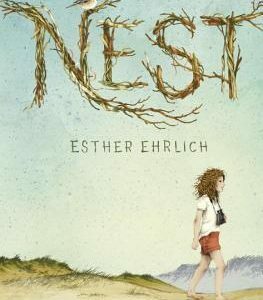 If the teenage love triangle were not as front and center, I could’ve liked this book. The demon-hunting action was enough to pull me through the story, but I don’t think I’ll be grabbing the next book in the series.